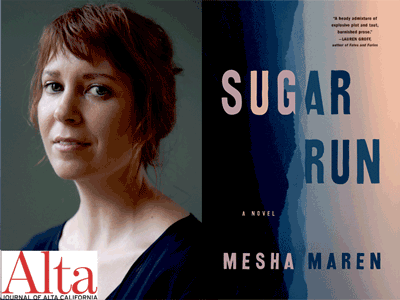 Alta Magazine and Books Inc. present debut novelist Mesha Maren, introducing her new book Sugar Run--a Southern novel turned on its head, featuring women who are as tough-or tougher-than all the men around them. Sugar Run is a searing and gritty debut about making a break for another life. Set within the charged insularity of rural West Virginia, the use and treachery of makeshift families, and how, no matter the distance we think we’ve traveled from the mistakes we’ve made, too often we find ourselves standing in precisely the place we began. Featuring a landscape as rich as the characters, Maren beautifully renders the rugged and wild Appalachian Mountains and which brings great texture to the novel, while elevating its narrative power. Debut novel by a remarkable new voice in literary fiction: Maren's writing has appeared in Tin House, The Oxford American, Hobart, and elsewhere. She is the winner of the 2015 Thomas Wolfe Fiction Prize and the recipient of numerous fellowships.